Though not as clever as his usual fare, Burroughs shares several amusing vignettes about his experiences with Christmas and the holiday season. Some are pretty funny - like how he confuses Jesus and Santa Claus as a child and some are rather bleak - like his crappy relationship with a boyfriend with AIDS who refuses to acknowledge their relationship to his family. My personal favorite was the last chapter, which is an actually quite touching piece about understanding the true spirit of Christmas and love. 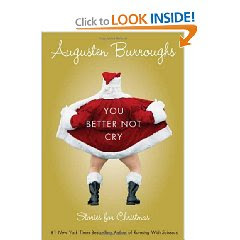 Overall, a speedy read, but if you're aiming for some seasonal laughs, stick to David Sedaris' Holidays on Ice instead.